Benchmarks are a reference point and in some cases become standards, as in norms. The founders of the Standard company must have had a good education and Victorian mind-set. When thinking of a name they had in mind the Union Flag and armies grouped around it, leading the world. For anyone with a military outlook the implications are doubly-clear: the standard acts as a focal point to which troops rally and which signalled the location of the leader. Naming a car “Standard” was to make a big promise to the buyer: your car is the one all others will look to, it leads the way. Triumph 2.5 Pi: nice straight six, appalling quality. The intended meaning of standard shifted over time. Fewer and fewer people had military experience. Perhaps the prevalence of standardisation, which was one of the big ideas of the post-war period, pushed onto the notion of standard the dual meaning of both the measure of acceptability and also the meaning of ordinary. The same vague meaning adheres to benchmark. While in some ways it´s supposed to imply the best yet, it can also mean simply a reference point. It didn´t help that the competition in the British car industry – and globally – was making it harder to live up to the promise of the intended meaning of “Standard”. 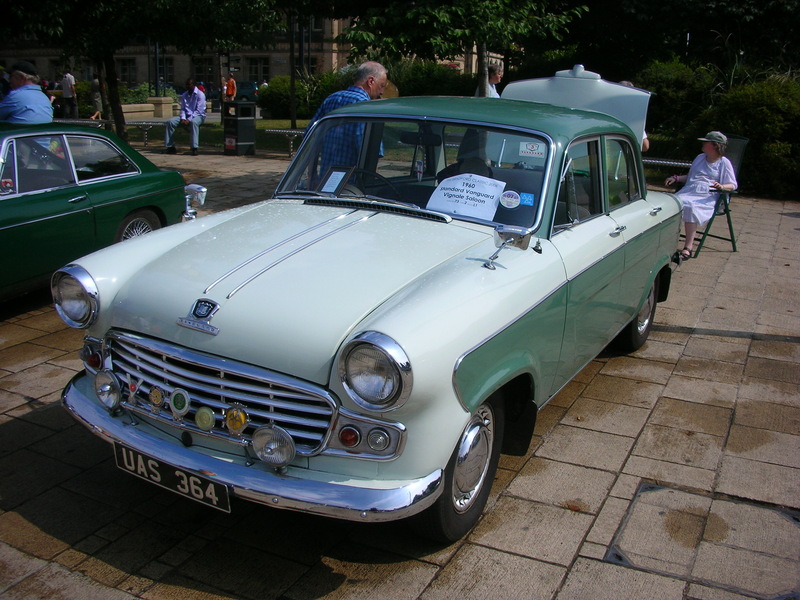 By the late 50s, smaller Standard cars were being defeated in the market place. Standard also owned the Triumph brand which had achieved success with the TR2 sports car. Then the Triumph Herald took over from the Standard Vanguard in 1959, featuring many carry over parts from the Vanguard. The last Standard disappeared with the launch of the Michelotti-styled Triumph 2000 in 1963. Two more decades passed during which time Triumph became part of the British Motor Company conglomerate and Triumph´s interests clashed with Jaguar and Rover. There was not enough room for the three companies. While the Triumph 2000 had a good run, it was not replaced. The Triumph Toledo was launched as a front drive sporting saloon in the Alfa Romeo Giulia mould but its cost meant that it went rear drive and ended as the Dolomite, with the Sprint being a rather feisty little car. The Stag went down in history as a good car ruined by poor quality and the TR7 needs no further discussion. The end came for Standard´s descendant, the Acclaim, in1984. It was a badge-engineered Honda whose only role was to buy some time for BMC´s successor, Austin Rover group. And so the Standard became ordinary, another benchmark erased. Eoin mentioned to me that I got the fwd/rwd arrangements of the Toledo and Dolomite mixed up. I did once know this but have forgotten. I will try to sort it out and rewrite accordingly. Suffice it to say that Triumph´s product plans were bewildering.